Home/What care do you need? It is sometimes difficult to decide what type of care you or your loved one might need. Stay at home and get support from friends and family. Stay at home with a mixture of professional domiciliary care and family support. Enjoy going to a place where you can receive help and support for short periods of time or going to a day care centre – this is called either respite care or day care. Employ professional carers to help you as much as you need – this is called domiciliary or live-in care. Move in to supported accommodation or a good care home where you will have the support and care of qualified staff and the company of others. If you have a Social Worker they are likely to have drawn up a care plan for you. Broadland View has developed some handy Help and Fact Sheets to help you make the right decision. Even if you don’t decide to join us at Broadland View Care Home, you can still download, print and use the help and fact sheets below as you make your decision. Some are check lists and others contain details and information about funding and other services. However, many people who live with dementia find that the condition gets progressively worse and daily tasks around the home become more difficult to manage safely. When this happens, it may be time to consider moving into a good quality care home that has everything the person with dementia needs. 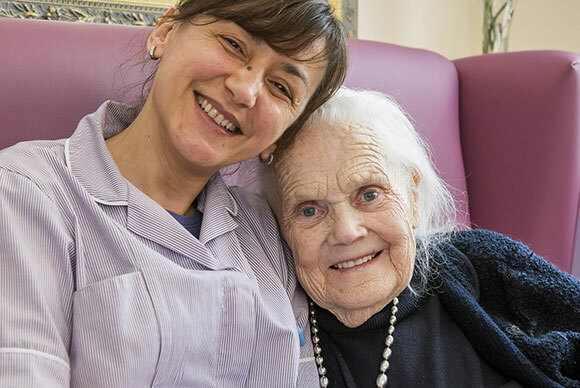 The Broadland View Dementia Care Home in Norwich is built on the foundations of good trusting relationships with our residents and their families and friends. We take the time to get to know each resident, their likes, their dislikes, their interests and hobbies, their personalities, the story of their life and who their family and friends are. We tailor the care to suit the individual’s preferences and we work hard to ensure that every day at Broadland View Care Home is as rewarding, stimulating and enjoyable as possible. We encourage friends and family to come and visit regularly and get involved wherever they can. On this page you can download some useful documents about living with dementia, and caring for someone with dementia. Day care at Broadland View Care Home not only gives invaluable support and respite to friends and families caring for people with dementia but it also opens up a new world of opportunities for fulfilling and enjoyable activities and companionship for the person with dementia themselves. People are often initially scared to go to a new place and worry about making new friends. But we find that our day visitors usually fit in really quickly, they meet new people, like our warm and friendly staff and enjoy their time with us so much that they can’t wait to come back. A small courtyard-style garden with fountain and a tranquil atmosphere – lovely on a sunny day! A green house where visitors can enjoy tending to the fruit and vegetables. When visitors return home from Broadland View, they feel revitalised and refreshed having spent their day amongst friends in a welcoming and pleasant environment. 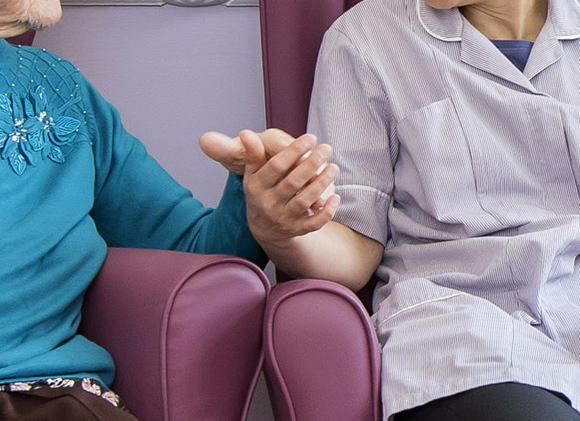 Because we are specialists in caring for older people with dementia, we understand their needs and put them at the centre of everything we do. If you would like to come along and visit us to see if Day care at Broadland View would be right for you, why not arrange to come and see us.